The only good thing in this hotel is the receptionist named Effie. The rest is a damp. Waste of money. Being close to the bread factory bc we had to forgo the free breakfast bc it started too late. Staffs were informative and friendly. 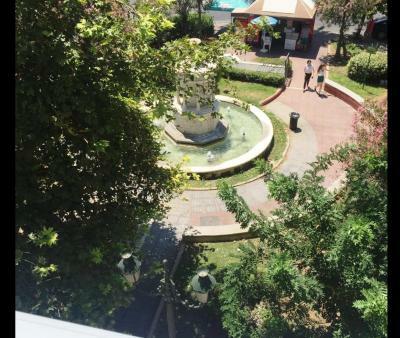 It is located near a 24 hours bakery. 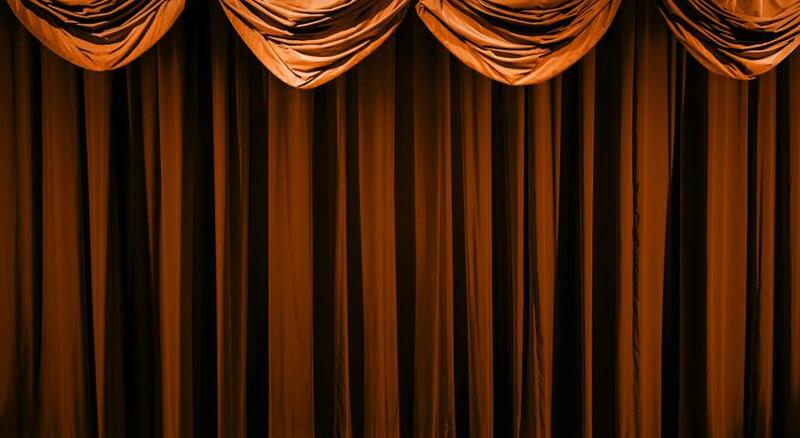 The staff was wonderful and very helpful. The room was very large and clean. Good location. (Few meters from metro.) Friendly staff. 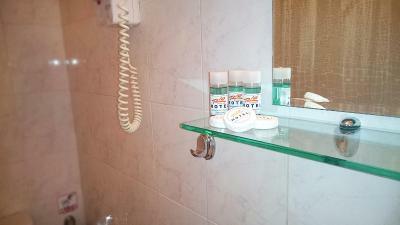 Very friendly and helpful staff, good facilities in room and very clean. Basic but fine breakfast. 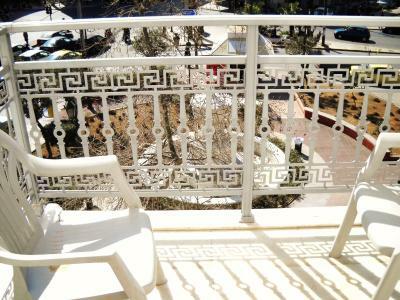 Great balcony. 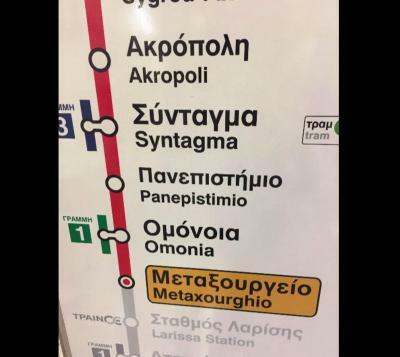 Position very nearby Metro. Bus and Hop on - Hop off stations. 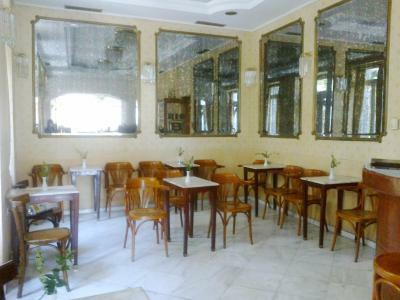 Nice pastry and restaurants in the neighborhood. Availability and courtesy of staff/owners. 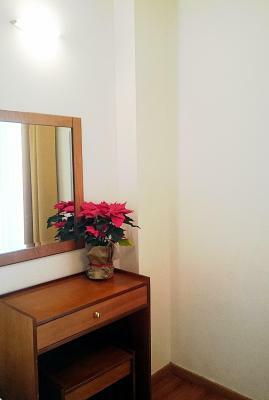 If you don't find any other cheap hotel maybe a place to stay. 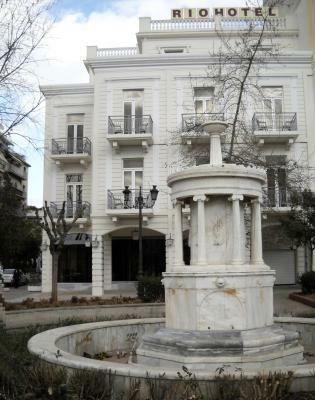 Very good in location .. close to Omonia square n also metro station. 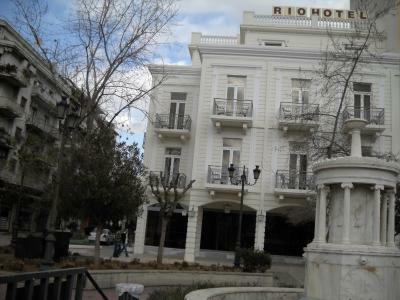 Hotel Rio Athens This rating is a reflection of how the property compares to the industry standard when it comes to price, facilities and services available. It's based on a self-evaluation by the property. Use this rating to help choose your stay! 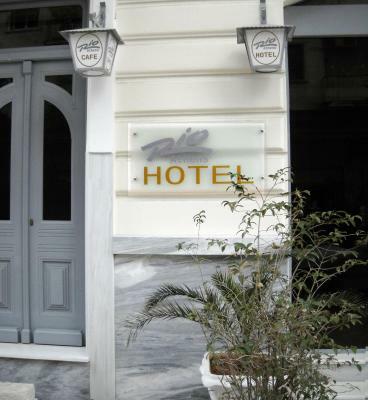 Conveniently located on the quiet pedestrian street of Κaraiskaki Square, this hotel is next to Metaxourghio Metro Station and the international railway station. The multilingual staff are available 24 hours each day. 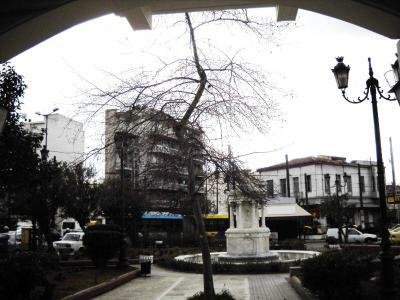 The lively area of Psyrri is located 0.6 mi away, while Kerameikos is at a distance of 0.7 mi away. 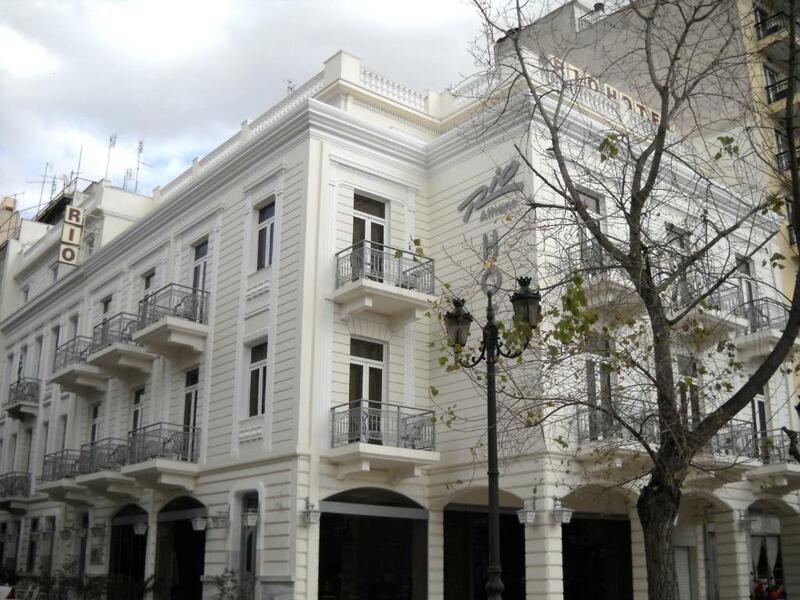 Housed in a fully air-conditioned restored neoclassical building, the guest rooms include mini-bar, satellite TV and private bathroom with hairdryer. 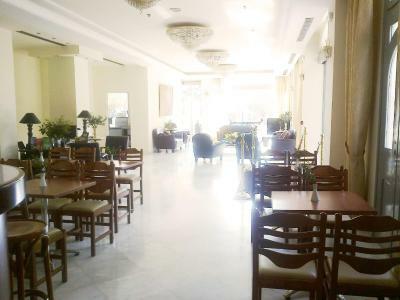 The Bar-Restaurant on the ground floor provides the ideal place in which to relax enjoying refreshments, food and pleasant music. 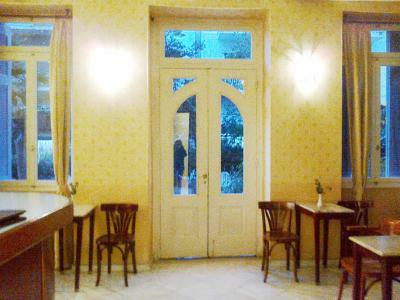 It serves many kinds of drinks and Greek specialties until well after midnight. 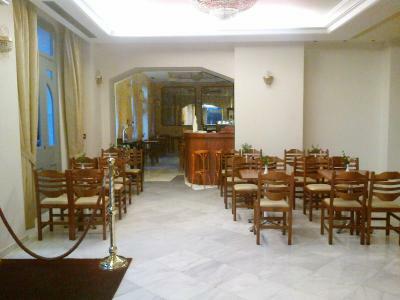 A glass of ouzo is offered to all guests upon arrival. 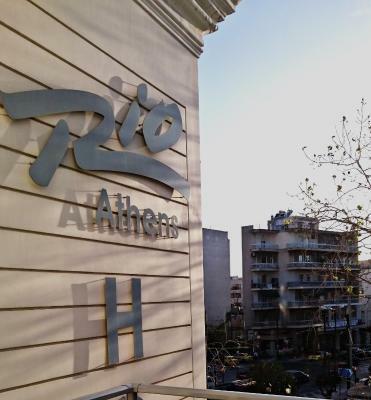 Hotel Rio Athens enjoys a strategic location just 0.6 mi from Syntagma Square, 9.3 mi from the port of Piraeus and 16 mi from the Eleftherios Venizelos International Airport. 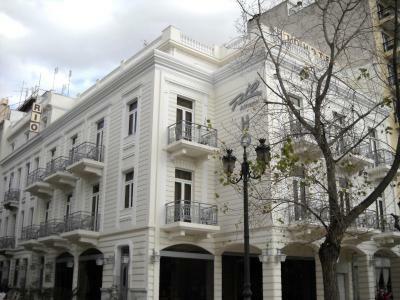 It is conveniently located close to major touristic attractions as the National Archaeological Museum lies within walking distance, while the Acropolis Rock is 0.9 mi away. 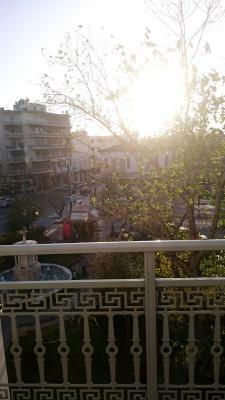 The vibrant Monastiraki Flea Market is 0.6 mi away. Wireless Internet Hotspot is available in all areas and is free of charge. 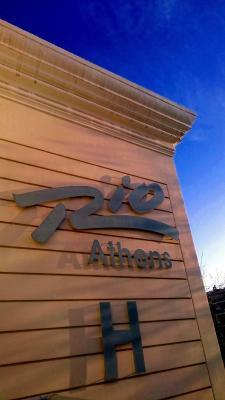 When would you like to stay at Hotel Rio Athens? 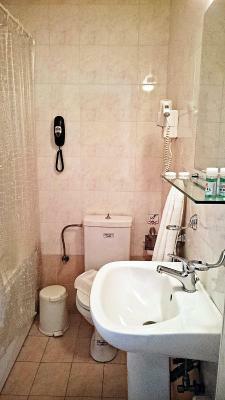 Air-conditioned room with bathtub or shower, satellite TV, minibar, hairdryer and direct dial phone. 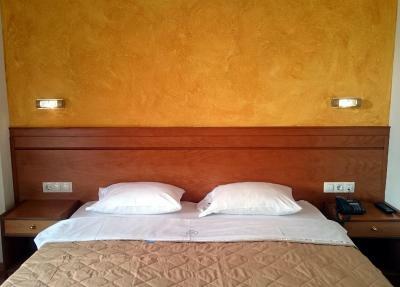 This room has 2 double beds or one double and 2 single beds. 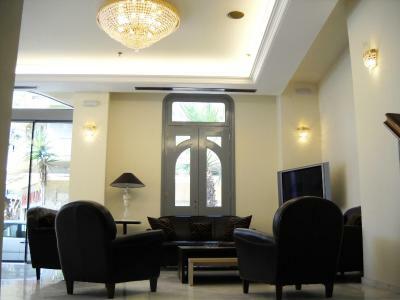 All the rooms are welcoming and equipped with air conditioning, bathtub or shower, satellite TV, minibar, hairdryer, and a direct dial phone. This family room has a patio, mini-bar and air conditioning. 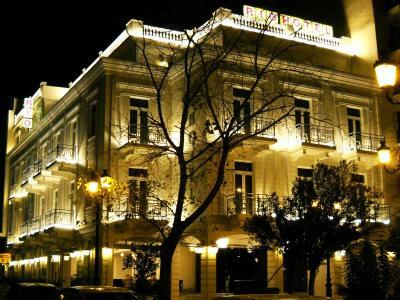 We are located in the city center, Karaiskaki square(metro station "Metaxourghio")within walking distance to all archaiological sites of intrest.Acropolis,National Museum, 10 minutes walk to Plaka, Acropolis, very close to the open flea market of Monastiraki and 5 minutes walk from the night life, Psyrri and Gazi areas. 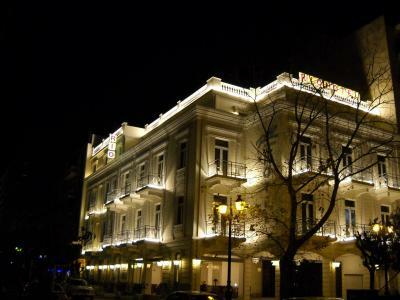 House Rules Hotel Rio Athens takes special requests – add in the next step! 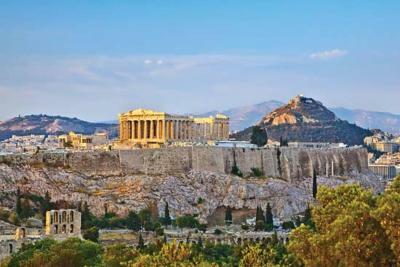 Hotel Rio Athens accepts these cards and reserves the right to temporarily hold an amount prior to arrival. 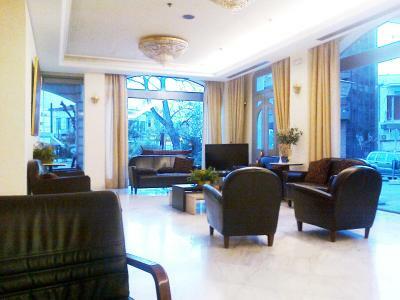 Please note that in the case of early departure, the hotel will charge the whole amount of the reservation. 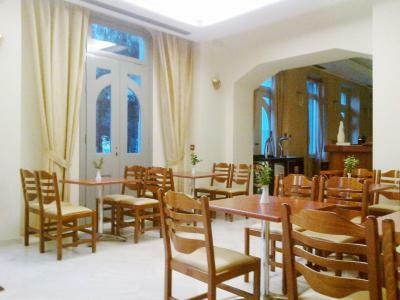 There is happy hour at the hotel's bar-restaurant from 5 pm to 8 pm daily. 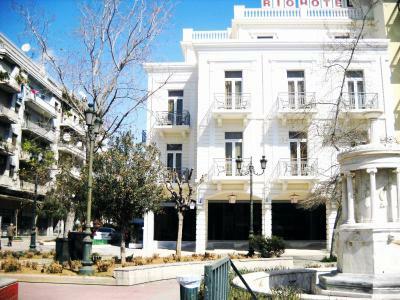 Please inform Hotel Rio Athens of your expected arrival time in advance. You can use the Special Requests box when booking, or contact the property directly using the contact details in your confirmation. Rather grumpy and unfriendly check-in. BUT the worst was the,system for logging onto the internet...old style. You only get 3 hours eith a long complicated system of logging in. 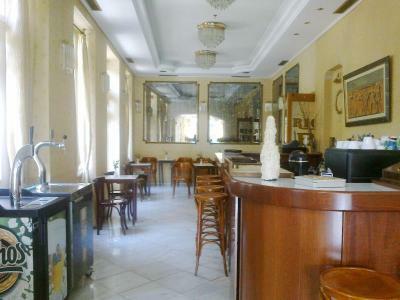 Go to a Kafé-Bar and all you do.is enter a password and it lasts for ever. This they have to sort out . 1. Staff is not helpful and not friendly. We stopped asking them for anything after the first night; either deny the problem or roll their eyes and pretend they don’t understand what you are saying. 2. 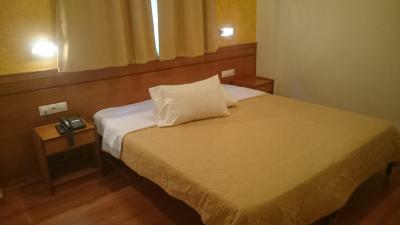 I booked double bed room. 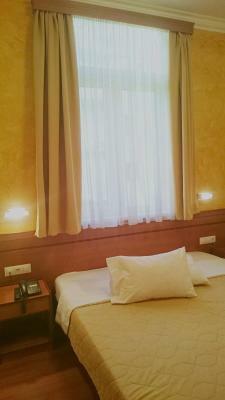 However, they gave me twin bed room. 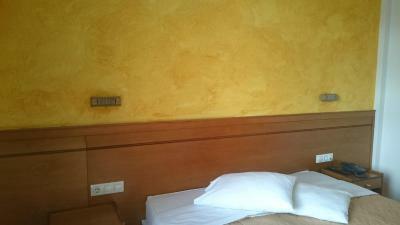 I talked to the staff and she said there were no more double bed room. 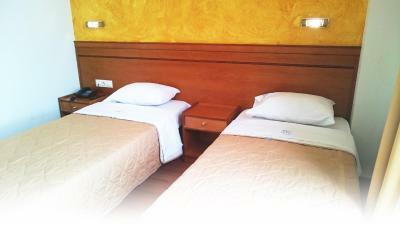 It is a lie because your website still shows double bed room is still available. 3. They don’t change the towel everyday and took towels away (first day: 2 big towel and 2 small towel, last day: 1 big towel, 1 small towel) 4. They gave us dirty sheet ( I can provide picture I took) 5. First night toilet kept running, told them they denied it. My husband ended up fixing it himself. No blanket, had to ask. Bathroom flooded after bath drained and floor drain backed up. Wifi has to be rebooted with a new password every three hours. Poorly staffed. Only the place where the hotel is. Room is quite old and run down. The shower head was broken so you have to hold the water head while taking a shower. Room is in pretty bad shape with other furniture damaged and tv and A/C not working at all. Breakfast was ok but very basic, same every day and not from quality ingredients.